Giant Stegosaurus Wall Sticker, 52" x 40"
Home | GIFTS | Crystals | Giant Stegosaurus Wall Sticker, 52" x 40"
Giant Stegosaurus Wall Sticker. 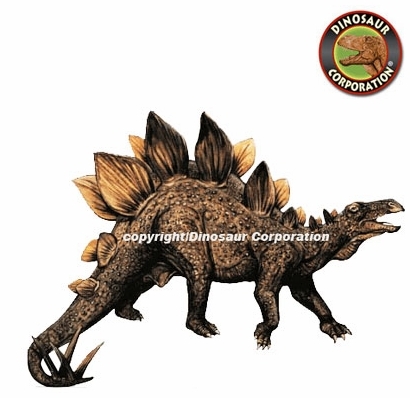 Self adhesive wall applique measures 52" (132 cm) wide x 40" (102 cm) tall to fit your kid's dinosaur bedroom. Wall decals are removable and repositionable stickers made of a vinyl-like material. A quick and simple alternative to painting, wall decals stick around best on surfaces that are dry, clean, and smooth.